As regular readers probably know, I’m a sucker for garishly-covered mass-market paperbacks from the 1970s. Whenever I’m looking through a display of used books, those are the ones that jump out at me. That’s what happened at the Yeovilton Air Day back in July, when I spotted the book pictured above. My immediate thought was that it was a factual account of the September 11 attacks on the World Trade Center thirteen years ago. With the title 911, and the words “Terror” and “New York” on the cover, that’s a reasonable assumption. The seller must have thought the same way, since she’d stacked the book under “Military History”. After a few seconds thought, however, I realized that couldn’t be the case. They’d stopped producing covers like that long before 2001 (more’s the pity). The price on the back, 85 pence, strongly indicates an origin in the mid-seventies. After I’d bought the book and taken it out of its plastic bag, I saw that the publication date inside was 1977. 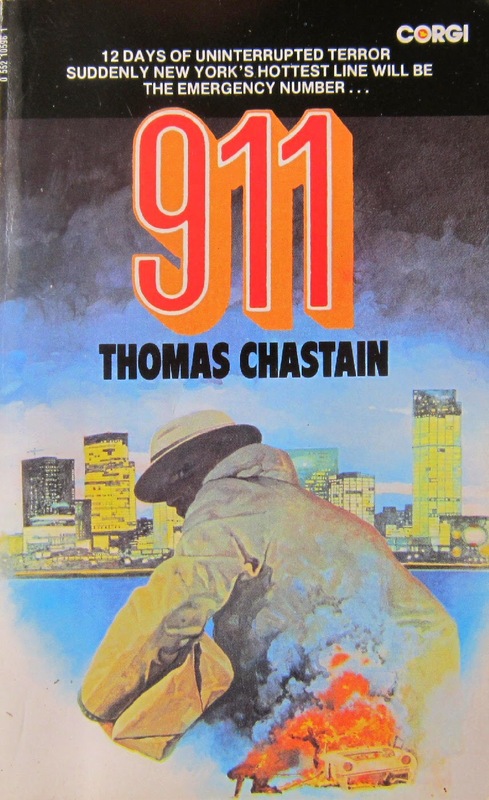 Actually, this is a work of fiction, by an author I’d never heard of before – Thomas Chastain. I’d like to creep people out by saying the novel is a prophetic vision of future events, but it isn’t. The “terrorist” villain is a lone psychopath with a grudge against the city of New York, who plants a series of time-bombs around midtown Manhattan. The title refers to the emergency telephone number (equivalent to 112 or 999 in the UK), where the bomber leaves taunting messages. The book is essentially a police procedural, similar in style to the Kojak TV series – also based in New York – which was popular at the time. 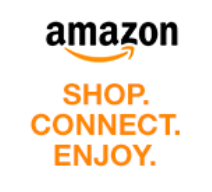 The plot is pretty good, but the novel has far too much padding for my taste. It’s 280 pages long, but could easily be cut to half that length. If the book had been 140 pages (as many novels were in those days), then I’d probably give it a top rating. As it is, I found parts of the book almost unreadably tedious. The last few chapters are absolutely gripping stuff, though. Perhaps the most striking thing about the book, judged by modern standards, is how cozy it is. Despite the wording on the cover, there really isn’t any “terror” at all. The focus is almost entirely on the police investigation, with very little about the public or media reaction to the bombings. There’s a distinct lack of gratuitous violence, too (no, I’m not disappointed – I’m just saying). Although there are a dozen bombing incidents in the course of the novel, they cause very few fatalities or serious injuries. In fact it’s almost a case of “gratuitous non-violence”. The clearest example is when one of the bombs is placed under the back seat of a bus. This foreshadows Britain’s own 9/11 – the 7/7 London Transport bombings which killed 52 people in July 2005, half of them on a Number 30 bus that exploded in Tavistock Square. But when the Number 4 bus blows up on Fifth Avenue in the novel, it just happens to be out of service at the time, so there’s no-one on board except the driver. And because the bomb was right at the back, he only suffers from smoke inhalation. Like I said – gratuitous non-violence! 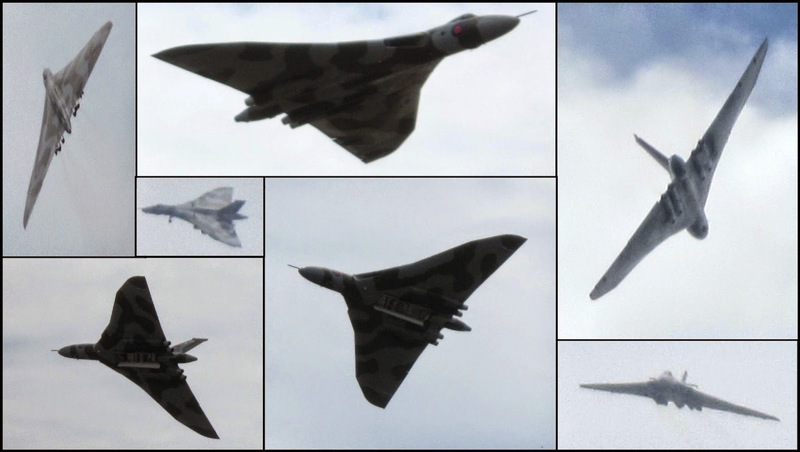 Since I mentioned the Yeovilton Air Day in the first paragraph, here are some pictures I took (not great quality, I’m afraid) of what must be the most beautiful bomber still flying – Vulcan XH558, the Spirit of Great Britain. The pilot on this occasion was almost as legendary as the aircraft – Martin Withers, who led the first of the Black Buck bombing raids against Stanley airfield in the Falklands in 1982. That's such a good point about the book being too long, there are so many books I've read that could be so much better if they weren't so long and it's not just modern books - I recently finally got around to reading Bram Stoker's Dracula as an e-book which I'd never actually read before. I know it's a classic but it's way too long in my opinion and could have been cut by half at least - the drawn out death of Lucy Westenra was absolutely interminable for example and there were plenty of other examples where some editing would have greatly helped (in my humble opinion of course). On the other hand I'm currently reading "The Haunting of Hill House" by Shirley Jackson as an e-book which only has about 170 pages and seems just the right length - I've always loved the film "The Haunting" (1963 version, NOT the crap 1999 version) and so far the novel seems just as good. Thanks Colin. I agree about Dracula, and have to admit I've never read it precisely because it's so long. I've got it sitting on my "to read" shelf, but it's not going to get read when there are so many shorter novels there. Historically, there seems to be a long-short-long trend in novel writing. Classic novels of the 18th and 19th centuries tended to be very long, but then they got much shorter in the early 20th century with the rise of mass-market genre fiction (murder mysteries, westerns, science fiction etc). But from the 1980s onwards huge turgid novels seem to be the norm again! I always thought that The Lord of the Rings was needlessly long. Tolkien went overboard in his attempts to create middle-earth, and some chapters seem like mere retreads of others. Definitely a book that could've been abridged. The Hobbit is a much better read, 'though not without its faults. I've never had any desire to read Tolkien, or Tolkien-style fantasy, at any length. I prefer stories that take place in the real world! The only fantasy writer I can read with pleasure is Robert E. Howard, because he avoids the flowery mock-poetic language of other fantasy writers, and there are obvious parallels between Conan's world and the real geopolitics of post-Roman Europe. And his stories are short and to the point!